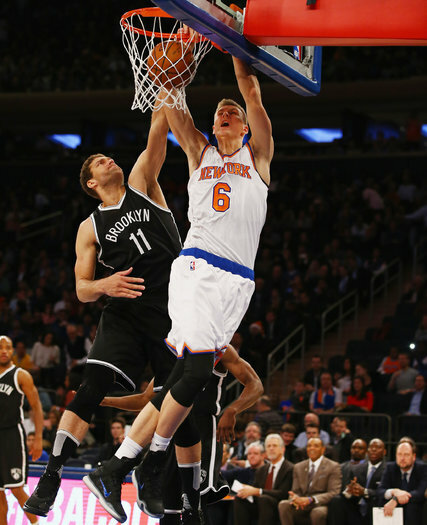 Kristaps Porzingis dunking Friday night on the Nets’ Brook Lopez at Madison Square Garden. Forty years ago, Lionel Hollins was a rookie on the Portland Trail Blazers, a highly touted point guard out of Arizona State picked sixth in the 1975 draft. In just the fifth game of his professional career — and the first of his career on the road — he found himself in a nerve-racking position, standing on the court at Madison Square Garden between Walt Frazier and Earl Monroe of the Knicks.